For a fun way to get your heart pumping try the Champion Sports Swing Ball Set. Simply put your ankle in the ring, swing with your leg to get the toy moving, and jump over the ball and cord. See how long you can keep it going without missing a jump. 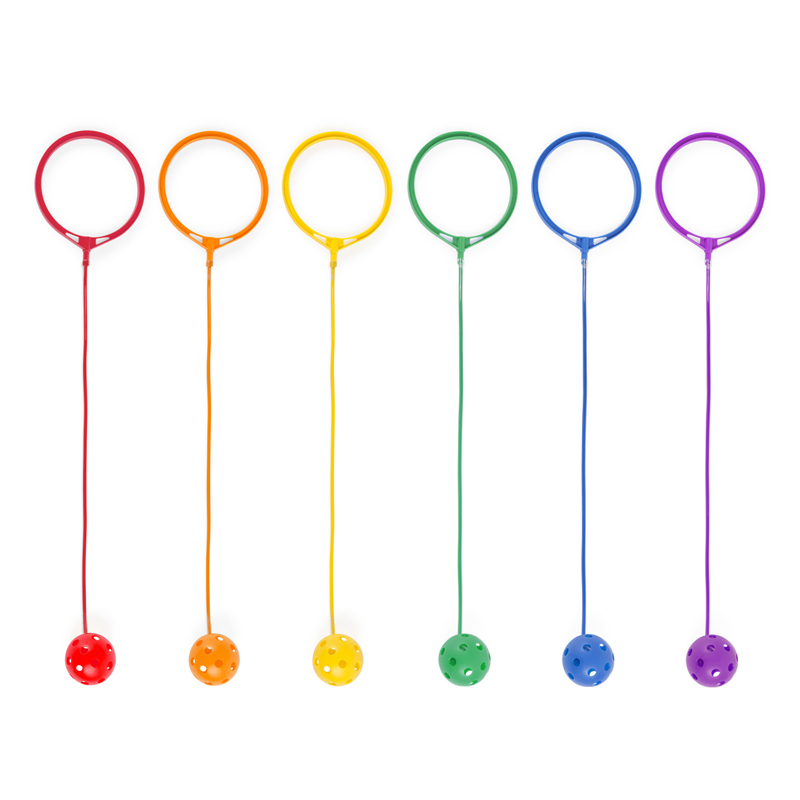 The set of six in rainbow colors features a 5.5" diameter ankle ring and an 18" cord.